I’ve always been a fan of nice timepieces. There’s something about precision engineering, artful design, and if you are lucky, exclusive prestige wrapped up in a machine you can enjoy using every day. And that’s why there seems to be a direct connection between the world of fine timepieces and automobiles. Many articles I’ve read on this topic try to establish the relationship between racing and watches rooted in functionality. Meaning that because a significant component of racing is timing there is a natural need for quality (i.e. accurate) timepieces. 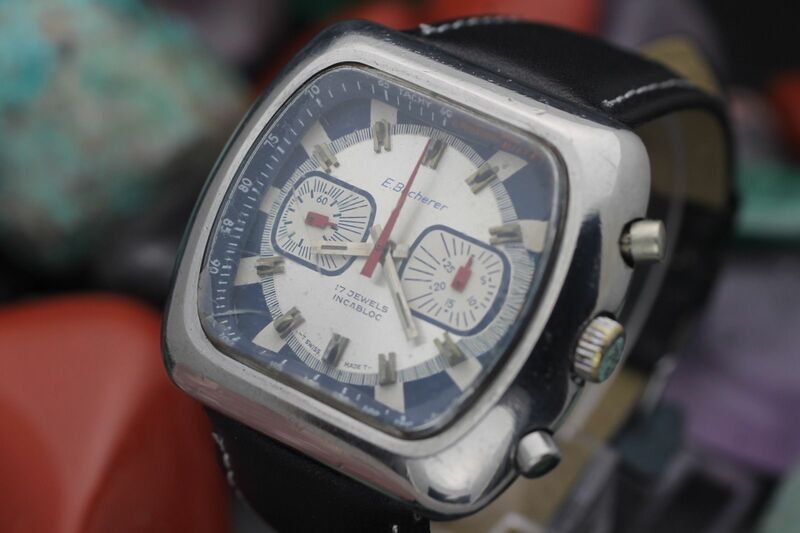 Just spend a few minutes searching the internet and you can find countless articles promoting iconic ‘racing’ watches from brands such as Patek Philippe, Rolex, Omega, Breitling, Chopard, Panerai, Jaeger LeCoultre, and TAG Heuer….and be prepared to spend thousands if not tens of thousands on these specimens. “A mechanical watch is powered by an internal spiral mainspring which turns the gears that move the hands. 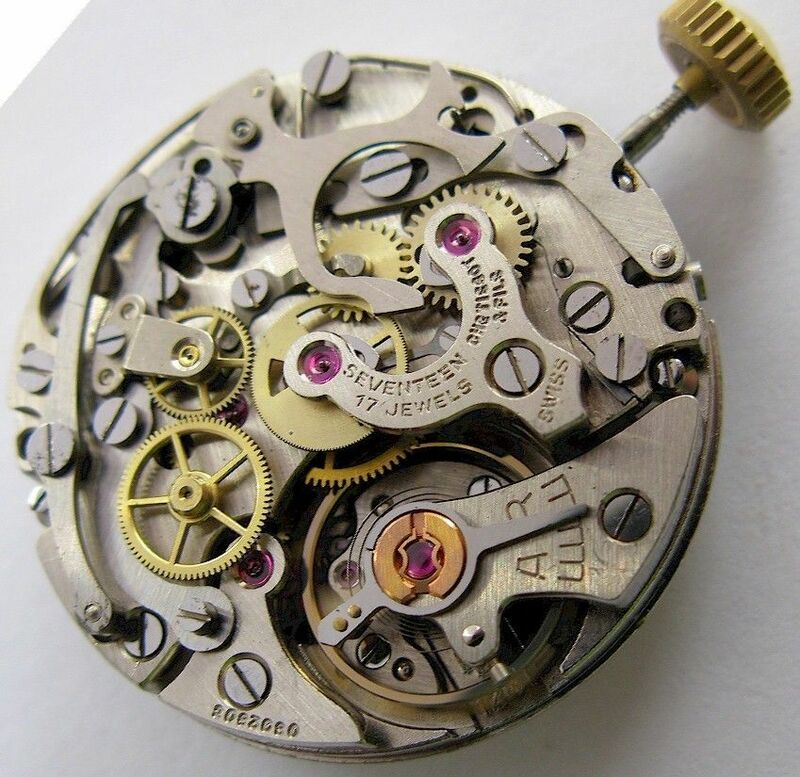 The spring loses energy as the watch runs, so in a manual watch movement the spring must be wound periodically by turning a small knob on the case, the crown, to provide energy to run the watch. Otherwise, once the energy in the mainspring runs out, it stops. 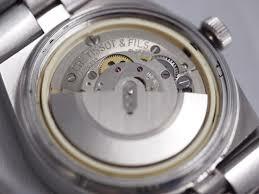 A self-winding watch movement has a mechanism which winds the mainspring. 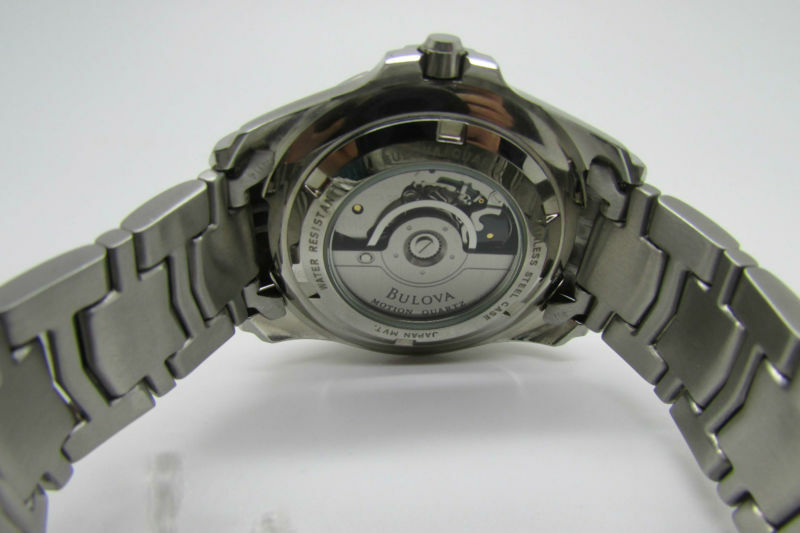 The watch contains an eccentric weight (the rotor), which turns on a pivot. The normal movements of the user’s arm cause the rotor to pivot on its staff, which is attached to a ratcheted winding mechanism. The motion of the wearer’s arm is thereby translated into circular motion of the rotor which, through a series of reverser and reducing gears, eventually winds the mainspring. There are many different designs for modern self-winding mechanisms. Some designs allow winding of the watch to take place while the rotor swings in only one direction while other, more advanced, mechanisms have two ratchets and wind the mainspring during both clockwise and counterclockwise rotor motions. So car guys don’t wear high end mechanical movement watches because they do a good job keeping time, or the practicality of never having to replace a battery. 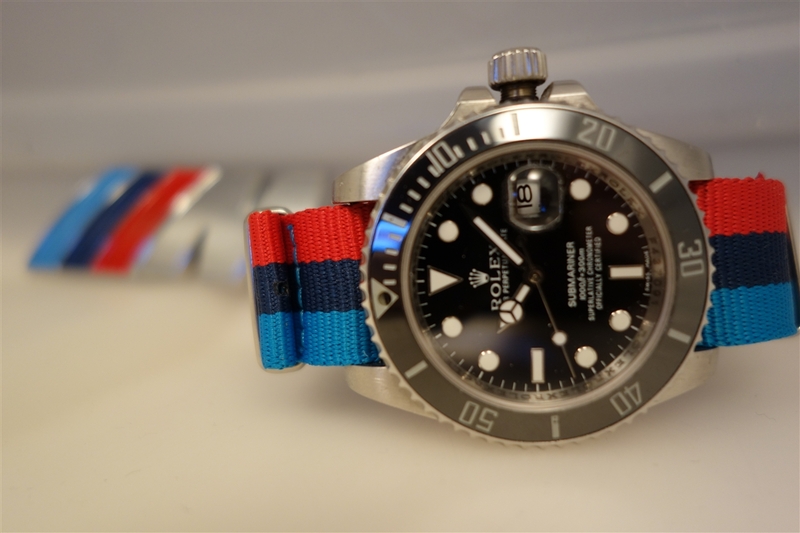 They wear them because they are precision machines with rotors, springs, reverser and reducing gears, and ratchets that you get to strap to your wrist! 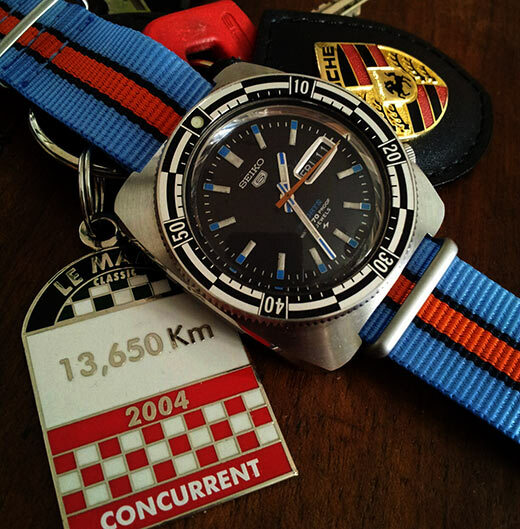 The ‘functional’ argument is further trashed by looking at what are the most sought after ‘racing’ watches. 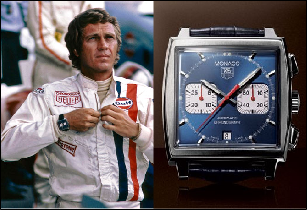 For instance one of the most iconic ‘racing’ watches is the TAG Heuer Monaco (originally Heuer Monaco) chronograph wristwatch originally introduced by Heuer in 1969. 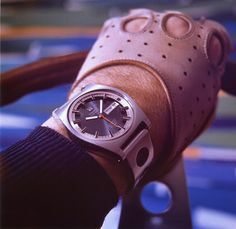 Not because of its functionality, but because nothing is cooler than the image of Steve McQueen wearing one in the 1971 film Le Mans. 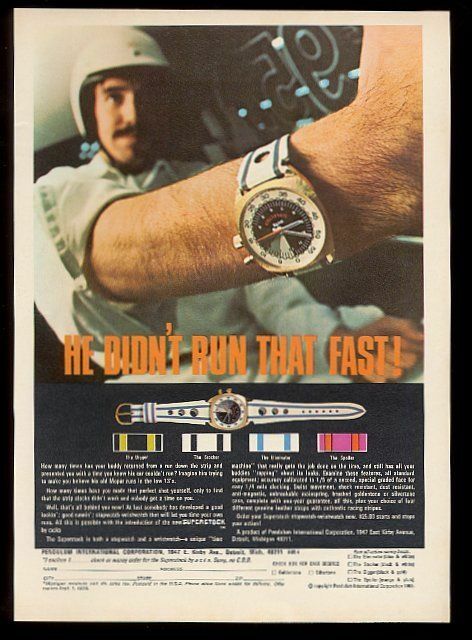 Same thing for the classic Rolex Dayton and Paul Newman. So where does it leave those of us who don’t have thousands to spend on a new Rolex Daytona, Chopard Mille Miglia, or TAG Heuer Carrera? There is a another ‘lower’ tier of automotive themed watches out there (by lower I simply am referring to prices below $1000). For example there is Autodromo that offers model with racy names like Stradale, Veloce, and Prototipo. 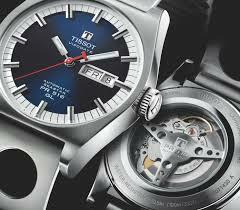 The Swiss company Tissot also has many race inspired models. For example basically everything in their T-Sport line with names like the PRS 516, Quickster, T-Race, and V8 would make a car guy happy. This is where things became interesting for me. 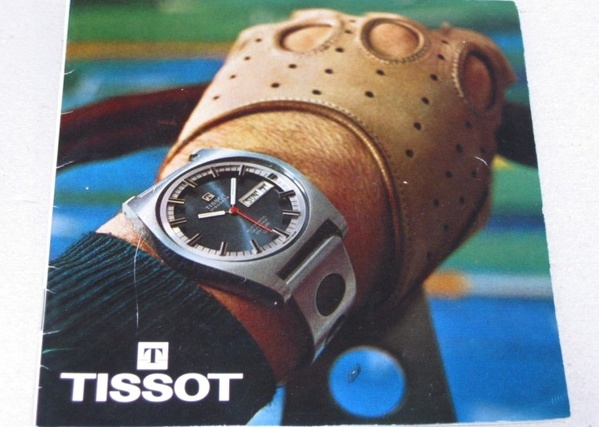 The reason I specifically mentioned Tissot is my father has been wearing a Tissot for as long as I’ve been alive. 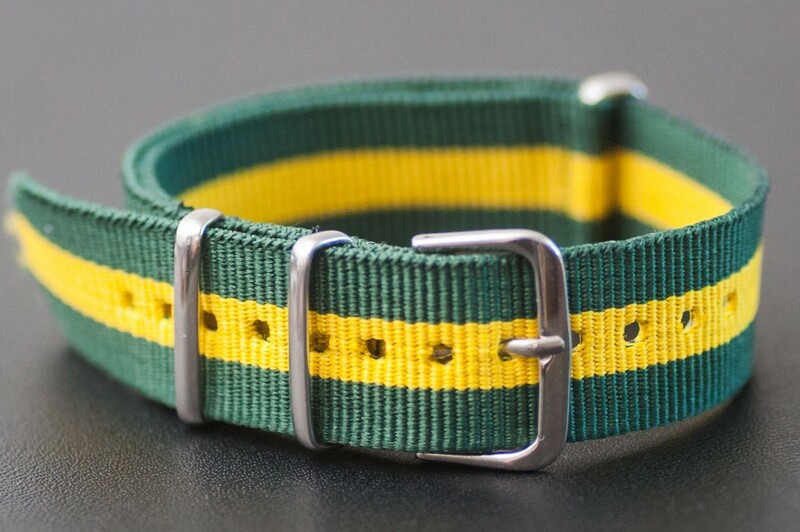 And my uncle, who lives in Switzerland, gave me one when I was a kid. So the fact that they offered affordable auto-inspired pieces coupled with a little bit of nostalgia had me on the hunt for my next watch. 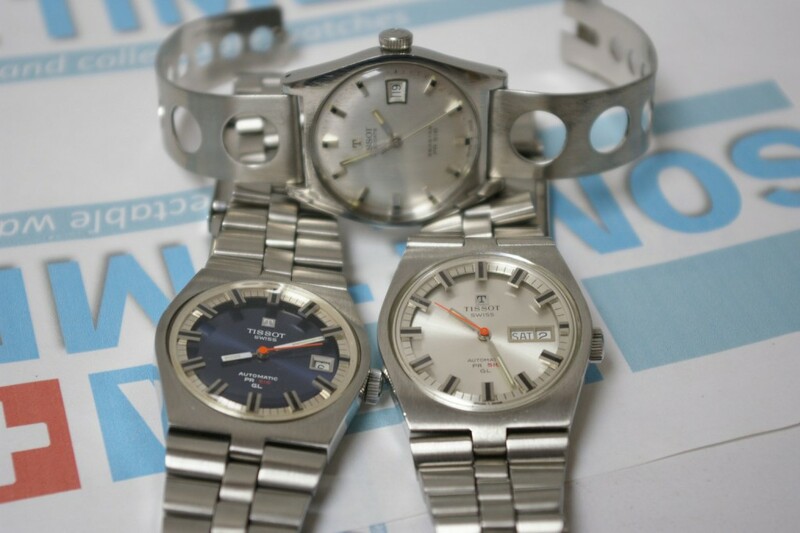 The search for a Tissot Heritage PR 516 Automatic began and immediately I wondered if I could find a slightly used one to save some money. Where does any car guy go for used goods? That’s right, eBay; and that’s when the world of vintage watches was revealed to me. A vintage mechanical watch movement is a beautiful thing. Again, to reiterate, I am not a watch collector or expert. 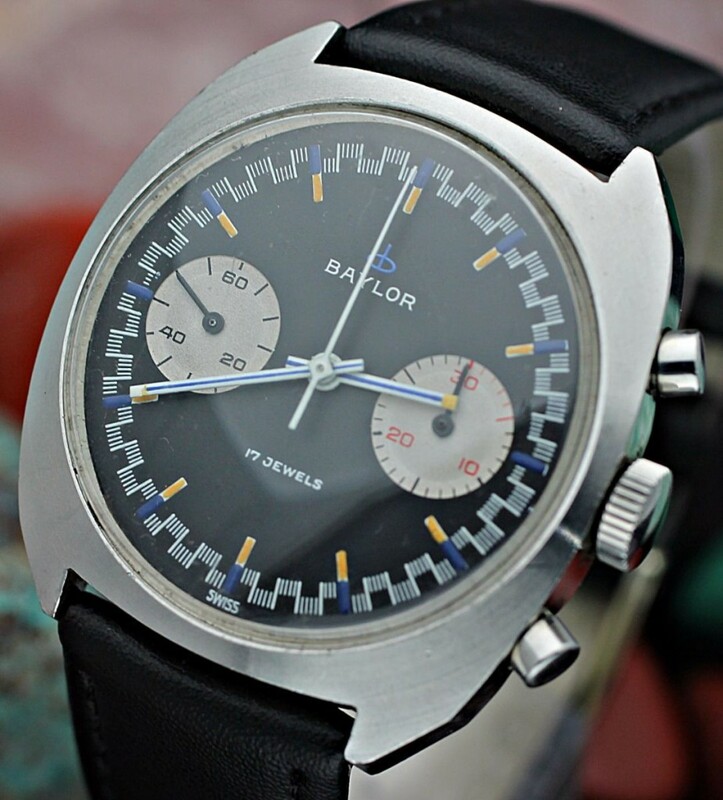 The few watches I mention next are worthless in the eyes of ‘real’ collectors….much in the same way a collector of Bugatti’s couldn’t be bothered with a well sorted Datsun 240Z. 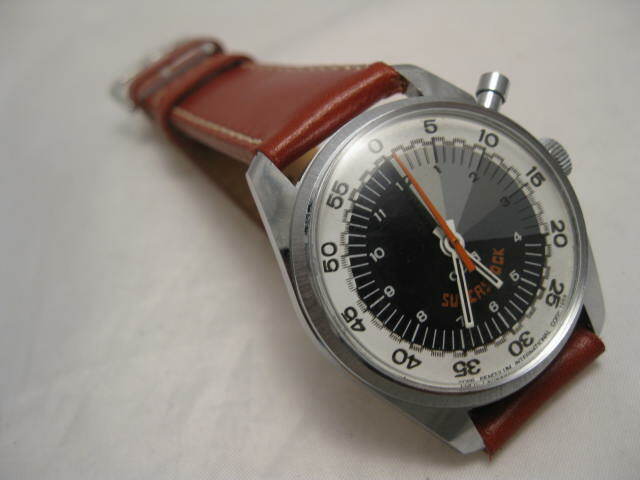 My searches on eBay exposed me to a world of affordable vintage mechanical watches and the advertising material surrounding them. I found myself in the world of watches the same exact way I was introduced to cars. Since I couldn’t afford the latest and greatest performance car I became infatuated with a dirt cheap ’69 Mustang coupe that wasn’t considered ‘collectible.’ Now, I was looking at vintage timepieces that also lacked the pedigree to make them relevant to collectors. Back to the Tissot PR 516 I mentioned above. The model I showed above is a re-issue of a vintage piece. On ebay, I found the originals which were just so much more appealing to me. 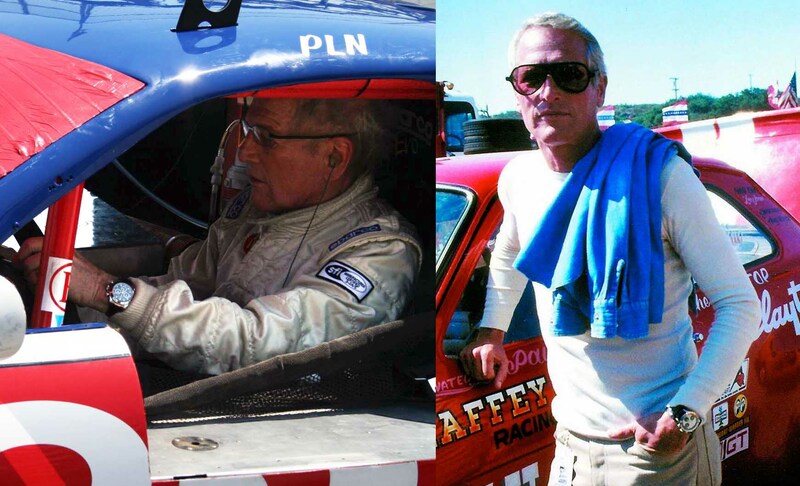 There is something to be said for a self-powered machine that has been running for 45 years. Also, the age of a vintage piece makes them somewhat more exclusive…..as with a vintage automobile. 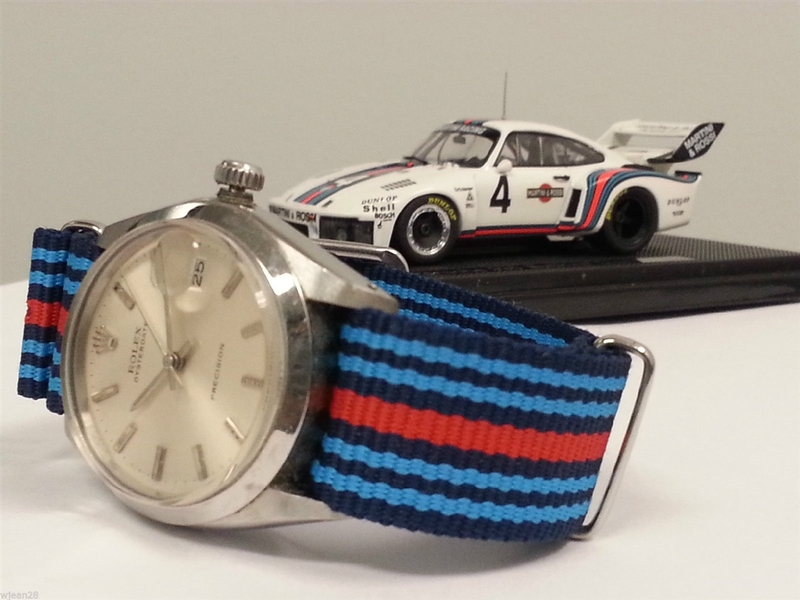 Martini Racing inspired nato strap.